No official release date. We need to at least add in some more mobs and the taming process before releasing it. Ok Thanks, And what mob/item are you working on right now? 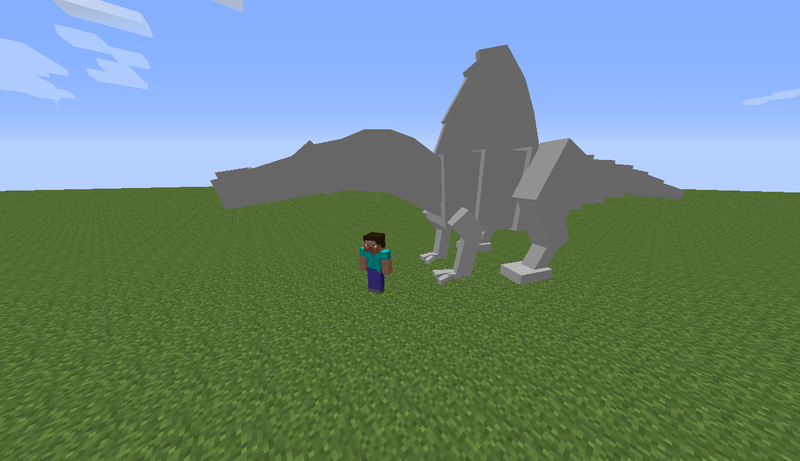 Right now we are working on coding the GUIs, the taming process, and the dilophosaurus. Sorry for another question but when will you shown pictures of it? There are pictures of content, in the "screenshots" spoiler. Try using Google Chrome, as on internet explorer I don't think it works. Location: But I'm coming home! Hi! You guys didn't know that I am also a modeler in these mod! I've created the Bronto and Spino! Bronto has a really curve neck, and Spino has a curved spine too. This is my new bootilicous model page. Check it here! I'm a member of some of the mods below. Check them out. Now for a limited time you can try Mirkwood for free for a month. Mirkwood is not for everyone, especially children, women who are pregnant, or may become pregnant. Side effects include: nausea, vomiting, loss of bowel control, urges to speak German at random moments, explosive radiation poisoning, mutation, itchy, watery eyes, protein denaturalization, high fever, gooifying, potty-mouth, loss of charisma, and death. You must be 18 or over to be eligible to take Mirkwood. Ask your doctor if Mirkwood is right for you. Might be in the future! Are we gonna have passive taming for some mobs? You can DEFECATE in this mod? Well I'll never install this mod then lol.